BEIRUT: Lebanon's security forces provide the only glimmer of hope for a country being torn apart by political crises, Lebanese Forces chief Samir Geagea said. 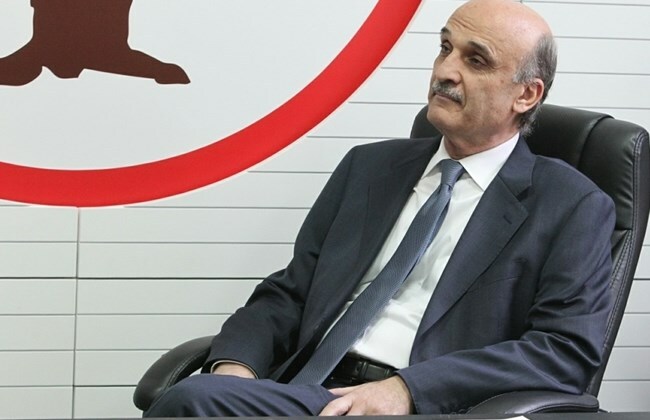 In comments published by Lebanese daily Al-Mustaqbal Saturday, Samir Geagea said security was the only positive exception to the internal situation, which is full of "complex crises." He expressed his "content toward the stability that the Lebanese are enjoying," which he compared to a "jewel in the midst of the fires torching the region." "Even if all terrorist factions on the borders combine their efforts, they would not be able to achieve any infiltration in the ranks of the Army, which is steadily guarding the frontier," he said. Samir Geagea blamed Iran for "blocking" the presidential elections in Lebanon, and expressed doubt that the Iranian nuclear deal would bring about any positive changes in Lebanon. Parliament Speaker Nabih Berri and Free Patriotic Movement chief Michel Aoun have both hoped that the deal would help ease the tensions in Lebanon and lead to an end to the 14-month-old presidential vacuum.